The shutter of my phone’s camera captured the largest smile I’d ever seen on the face of my new friend from Japan standing in front of the solemnly seated figure at the Lincoln Memorial in Washington DC. As Seichiro eagerly asked to see the picture, he expressed to me, in his limited English, how it had always been a dream for him to see the memorial honoring his favorite US President. 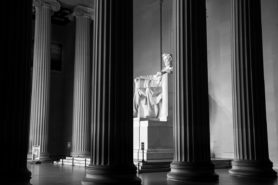 He turned back to Lincoln’s stoic figure and looked on in silence. Three years ago, I was the same wide-eyed tourist, an American looking at the memorial of my own favorite president… but this time, my eyes were not so dry. 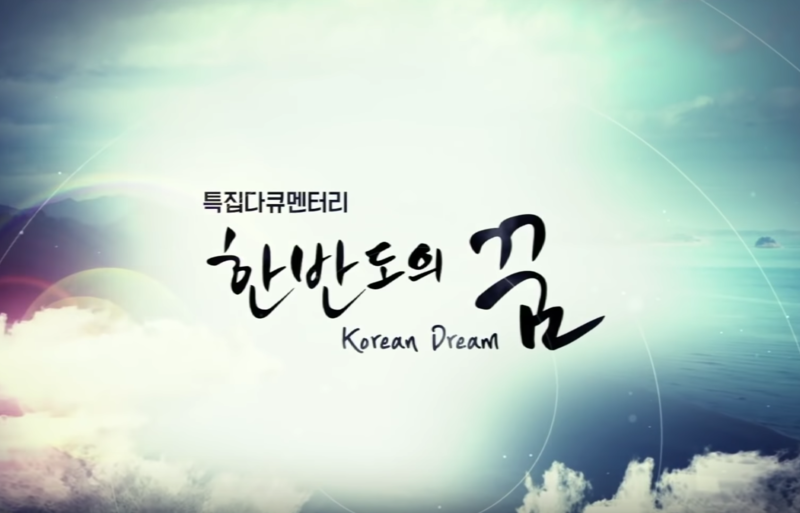 This time, I see how far I’ve come from the beginning of my journey to emulate my heroes and the values I share with people striving for the same vision no matter how far their home country is. 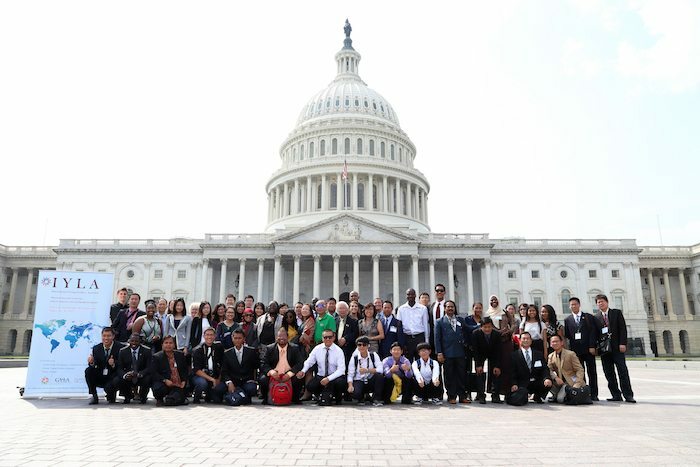 Summers in DC are hot, but every year it doesn’t stop nearly fifty international students and young professionals from exploring the roots of America’s founding ideals and our unity as one people— one global family— granted unalienable rights as children of the same Creator. Together, the delegates of the International Young Leaders Assembly (IYLA) discover what it means to be a part of a new generation of leaders striving for moral and innovative excellence. From long walks on Capitol Hill to the halls of the World Bank, Constitution Center and United Nations headquarters in New York City, IYLA is about more than prestigious institutions and networking with distinguished global leaders. I became a Global Ambassador in 2013 after completing my first IYLA as a university student in the United States. 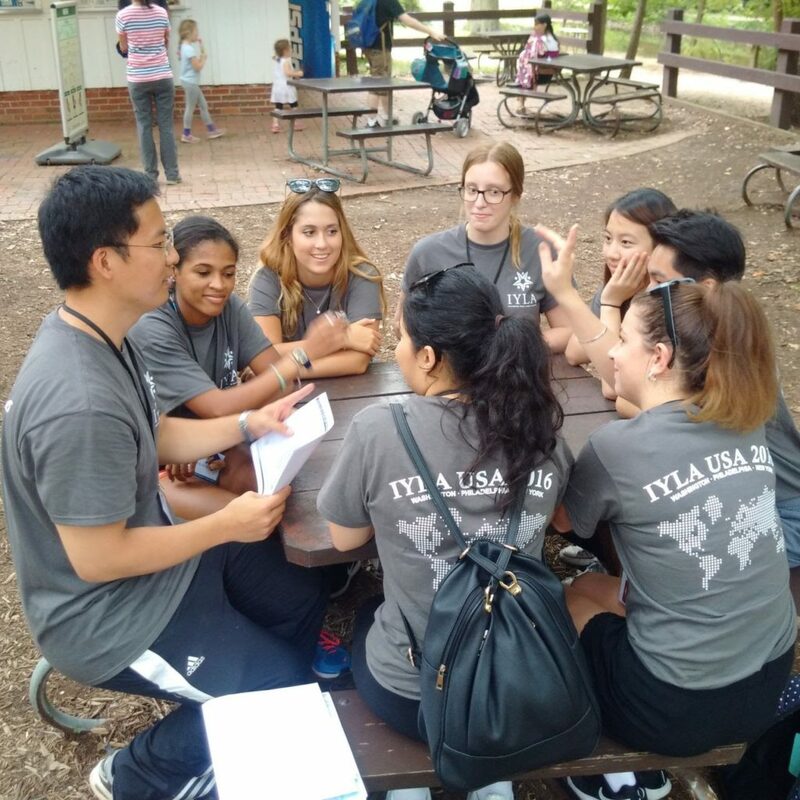 Although born and raised in a country that has become the melting pot of all other nations around the world, IYLA was my first intimate experience with peers from such a wide array of ethnicities, faiths and cultural backgrounds from across the globe. In the age of worldwide networking, social media has allowed international friendships to flourish, keeping us connected years after our weeklong adventure. Following my appointment as an IYLA graduate and Global Ambassador, I had the unique opportunity to become a staff member of IYLA from 2014 through 2016, getting an inside look at the process of collaboration between powerful organizations and the people driven by a global vision for peace and the young leaders who will get us there. Observing and immersing myself in the intergenerational collaboration of executives from government, NGO’s, nonprofits, businesses and academia, I was a witness to the very real fact that age plays no factor in the world of leadership. Youth are not just the leaders of tomorrow; we are the leaders of today. As a young college student, my IYLA peers were already successful businessmen and women, entrepreneurs and social activists with plans, ideas and an undying passion to change the world. 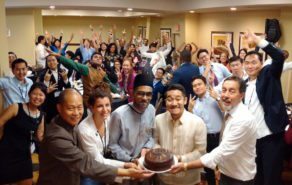 But no matter how great you think you are, the most successful young leaders came out of IYLA with a powerful humility and renewed hope that truly sustainable change is only possible through teamwork, international and interfaith collaboration united in a vision that we are all part of the same family. The vision of “One Family under God” emulated by IYLA co-convener Global Peace Foundation is what makes programs like IYLA a uniquely successful long-term venture in developing leadership qualities among international youth. 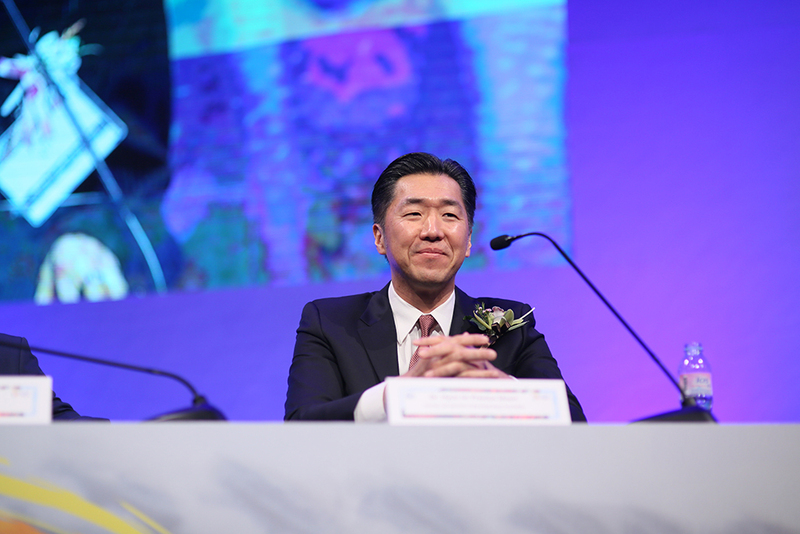 The real success of IYLA is not providing a platform to witness esteemed institutions, historical sites, or even world-class leadership workshops. The success of IYLA is providing the space to see people for who we are; that we are brothers and sisters no matter what our ethnicity, political beliefs or religious affiliation. In my journey to discover the leader in myself, I found the family all around me that made me want to become a leader for positive change… because all those leaders I have always admired fought for what was good, not because they hated what stood in front of them, but because they loved what stood behind them. We are a network of people who have grown to see each other as more than peers, more than business partners or colleagues. We see each other as brothers and sisters and so we care about making a difference, not just for ourselves and our own countries, but for each other and the sake of our world. This is where moral and innovative leadership begins. This is a reflection of a graduate of the 2013 International Young Leaders Assembly and three-time consecutive organizer for IYLA in the United States.